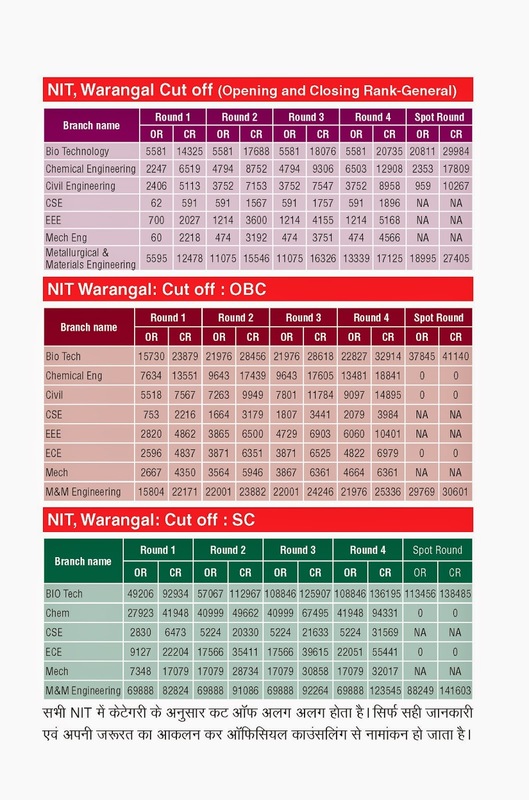 It is very important for all aspirants of JEE 2015 to know the expected cut off. JEE - Mains 2015 is at least over now, you all must be anxious to know the cut off for it. So, here is my prediction that the JEE mains 2015 cut off would be between 105-110 for CML, for other categories it would be more or less same as last year. If your score lies in the range of 150+, then u must take JEE Advance very seriously n should devote about 14-15 hours of committed work everyday from now. Do almost one topic each day of physics, chemistry n math each in the next 25 days. Then do all previous year JEE papers(last 10 years only) as exam in three hours sitting, two each day n analyse it in detail. Consult your mentors to rectify the common mistakes done. N Lastly join some relevant n balanced JEE Advance test series to check urself under the simulated conditions. Make these 48 days of your life as the best 48 days ever, such that u would always feel proud about it when ever u vil think abou it any time in future. Yeh 48 days tumse koi Nahin cheen sakta.....isme tumhe apna best dena hai. Aur agar tum apna best doge.... To tumse best koi ho Nahin sakta. I'm sure, If u give your best.... It won't be less.... It would take u to d finish line. ALL THE BEST TO THE BEST OF ALL LOT. 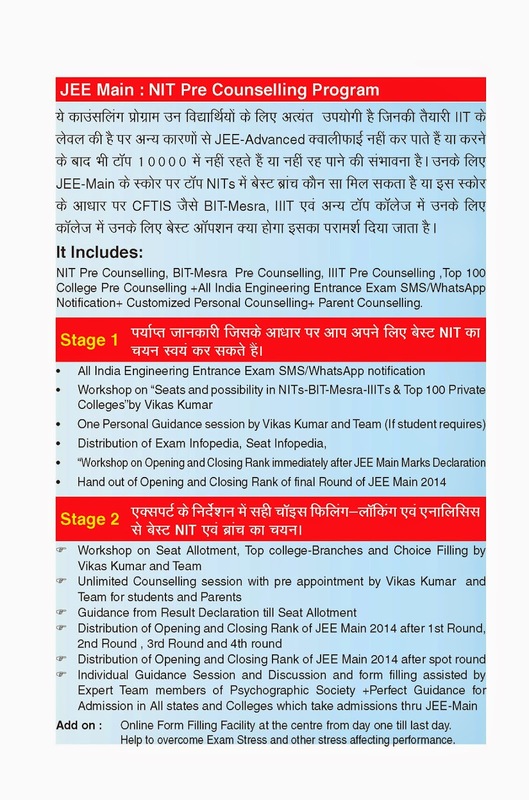 The JEE Main 2015 offline Paper I was held on 4th April, 2015. Nearly 11 lakh candidates appeared for this paper (out of the 13 lakh applicants who registered for JEE Main 2015). Now, you must be wondering about the likely cutoff score in JEE Main 2015 for being eligible to appear in the JEE Advanced 2015 exam. In this article, let us discuss the cutoff score in JEE Main 2015 and let us look at the rank prediction for JEE Main 2015. We at PaGaLGuY spoke to a lot of students to understand their experience and also analysed the paper ourselves. Based on this analysis, we have come out with a precise estimate of the cutoff in JEE Main 2015. As per our analysis of JEE Main 2015, the cutoff score for eligibility to appear in JEE Advanced 2015 should be around 118-120 for General category candidates, 75-77 for OBC, 55-57 for SC and 50 to 53 for ST category candidates. Do note that this is our estimate of the cutoff. The actual cutoffs may vary from the predicted cutoffs by +/- 5 marks. Do note that this list assumes that a student's performance in his board exams is proportional to his performance in the JEE Main exam. Since a student's All India Rank is dependent on his performance in the board exams as well, hence, better performance in the board exams would push up the student's All India Rank and vice versa. C = 0.6 * JEE Main score + 0.4 * Normalized board performance, where C is the composite score. Each student's rank is then calculated on the basis of this composite score. Now that you know the expected cutoffs and your expected ranks, you can plan and prepare better for the future. also requires appropriate guidance and suggestions. JEE Main Result 2016 is to be declared on 27th of April 2016. Check All India Merit list of JEE Main Result by using personal details. CBSE Board will be declared JEE Main Result 2016 on the official website.